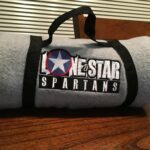 You can have your own LSS Flag. It’s a 3×5 sublimated polyester flag. 2 grommets on the side. As of 09 May the flag is sold out. I am taking pre orders for the next shipment, available in approximately 2 weeks. Ever felt your house needed something more? Maybe your front facade is lacking in some way? 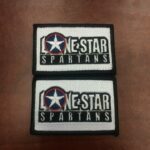 Want to show off your team pride to your neighbors? Maybe you know someone who has a balcony or garage wall that’s just so bare. We have the solution for you! 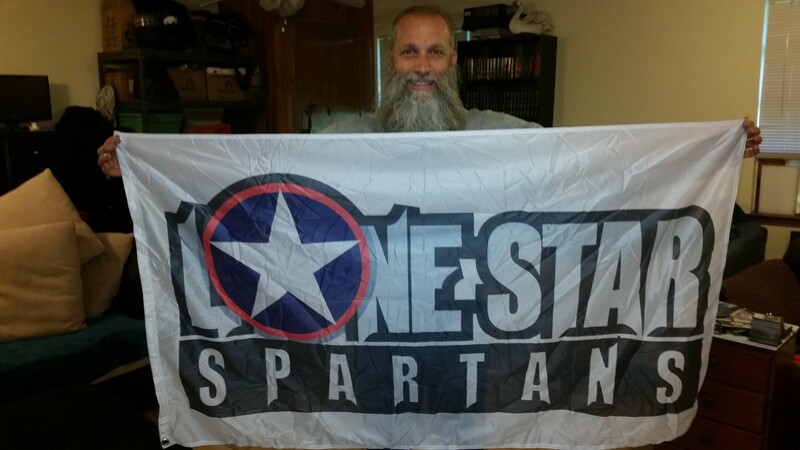 You can purchase a Lone Star Spartans Flag to adorn any spartan (see what I did there?) room or area. The flag is a 3′ x 5′ polyester flag printed on one side. There are 2 grommets on the side to attach the flag to a pole; there’s no pole sleeve.